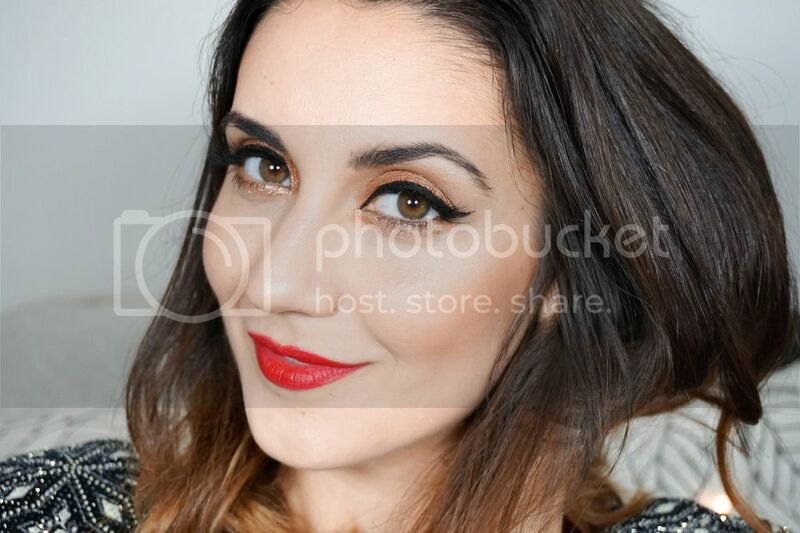 First up I've got this gorgeous KIKO Ace of Diamonds lipstick in Refined Burgundy which I featured here before. It's a gorgeous berry shade that I have been loving recently, because of its amazing formula that is not drying on the lips and easy to wear. I have been loving the berry lips lately and I can confirm that I am definitely confident to wear such dark shades now compared to how i was at the beginning of autumn. 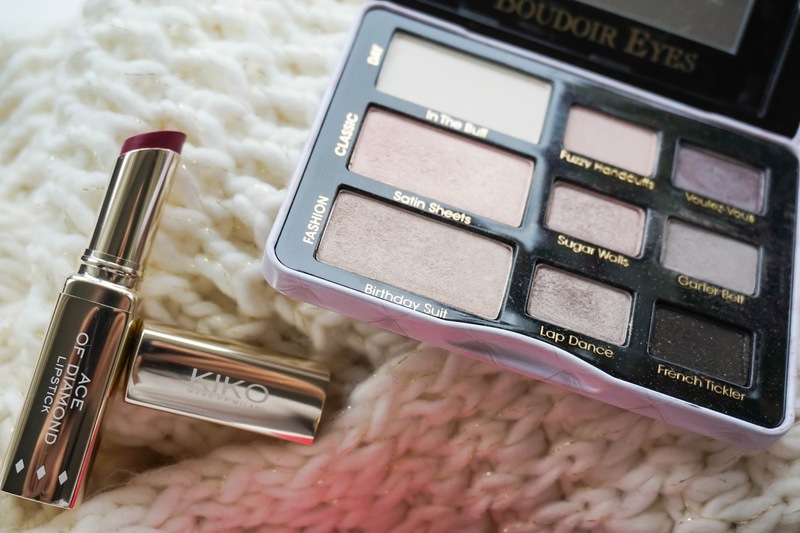 Right beside that I've got the TooFaced Boudoir Eyes Palette which has such amazing shades for this time of the year and I have been pairing it up with berry lips a lot. I love that most of the shades are great for daytime looks so you don't go out with a full blown smokey eye but you still look like you made an effort. I won't go on about it too much as I've got a full detailed review of it here. Next two items are ones that have been gifted to me in the 1st week of Bloggers Love Hub, which was sadly the only week I could attend. I was hoping to go to the 3rd and/or 4th events in November but #mommyduties were more important so I couldn't attend. Hopefully there will be more events in the future organised by Bloggers Love that I will be able to attend. Anyway one of my favourite gifts from the event has been this gorgeous Glowbeads bracelet with pink beads through it that reflect the light beautifully. 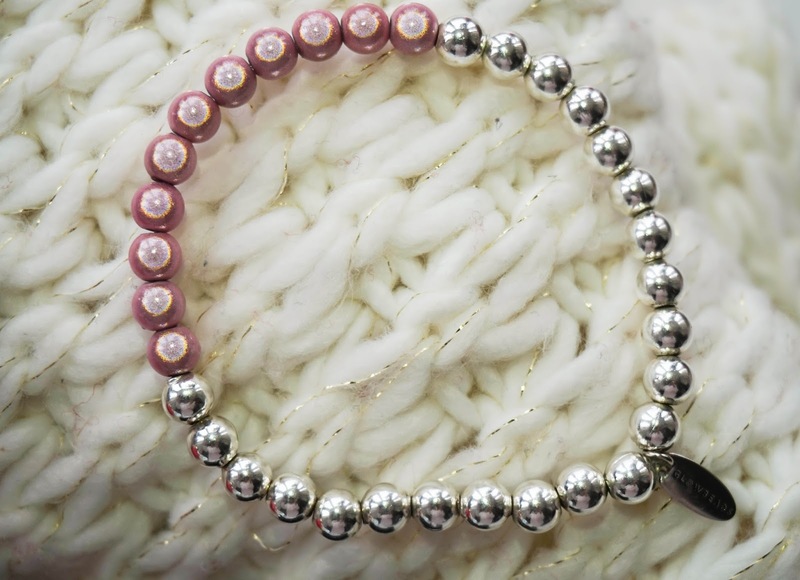 I get compliments on this whenever I wear it and I just love it, as it's simple yet adds a nice touch to any outfit. 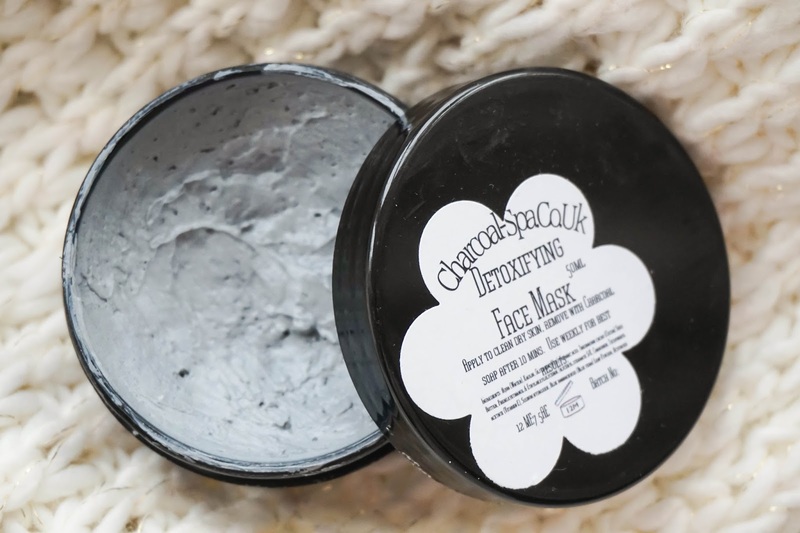 The other favourite from the event is a Charcoal Spa Detoxifying Face Mask from Chulo Naturals. This might not look like much from the outside, with plain black yet sturdy packaging but it really is an amazing mask. It is instructed to only use it on the face once a week and I feel like that is more then enough to unclog the pores and brighten the whole face. I love that it has a texture I have never come across before, almost like a light mousse and that it doesn't have a weird scent. I have been really enjoying getting use of it and I can see it lasting me a long time as a little bit goes a long way so it's great value for money. Definitely one worth checking out along with their other great products from the same range. Next product is a perfume which was recently gifted to me and I absolutely love it. I have always liked Nina Ricci scents but the newest version, La Tentation De Nina (which I believe is a limited addiction one) has got to be my favourite from the brand so far. First of all I adore the bright neon pink bottle with gold detailing, it's just gorgeous in my opinion. Secondly I love the scent which is sweet but in a more 'mature' way, because it is floral and delicate at the same time. Next up we have the L'Oreal Lumi Magique Primer, which I love using this time of year when my skin can get quite dull looking because it adds a nice glow back to the face. I usually mix it in with my foundation as I find that works best for me personally. I don't think this necessarily makes my makeup last longer throughout the day, which is essentially what a primer is supposed to do. But it makes foundation dewy and illuminates my skin without being shimmery, so I use it for that reason alone. 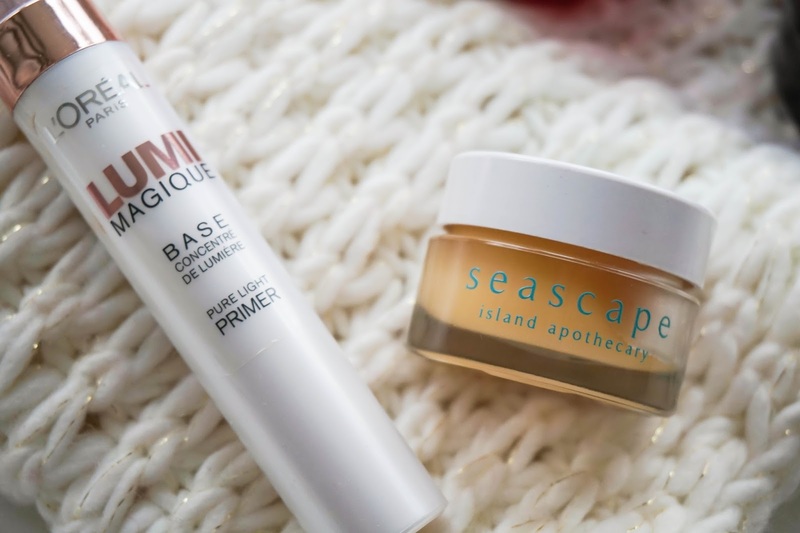 Last favourite item of the month is this Seascape Peppermint Lip Balm which I won at the #BloggersTeaParty event in October and have been loving it ever since. 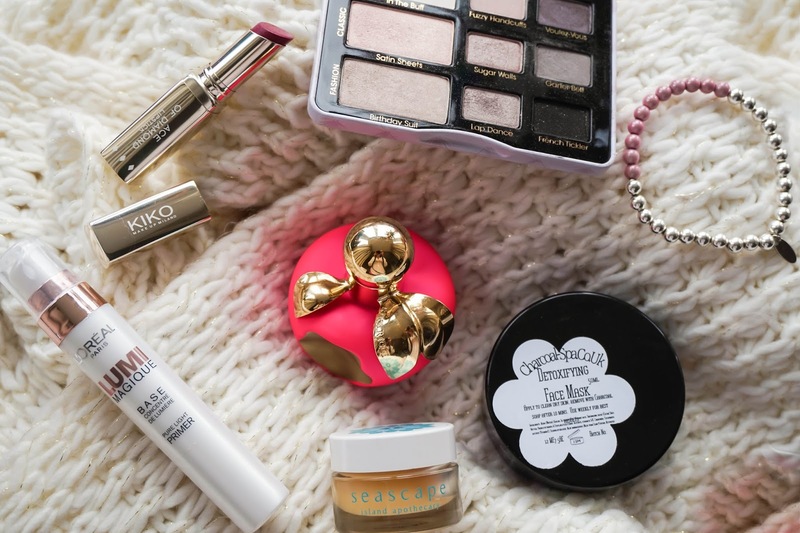 I did feature it in my top lip balms post here, so I won't ramble too much but I love the scent of it and have really got used to it's grainy texture, as that helps buff away any dry patches before I apply my lipsticks. It's all round a great product especially for this time of the year. So these are my ultimate favourites for November, which went by way too fast. What have you been loving all month long?